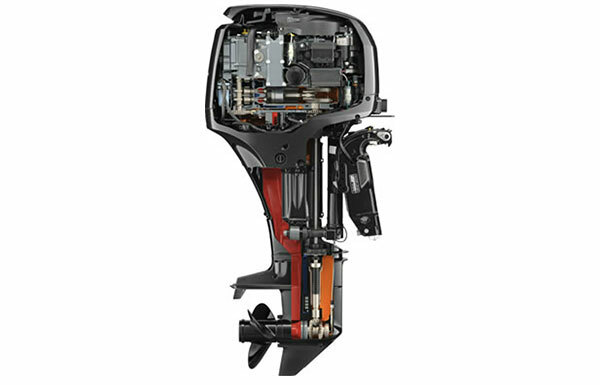 Suzuki's self-adjusting timing chain is featured on the DF60A which is the first outboard in the 44.1kW (60PS) class equipped with this maintenance free feature. The chain is oil-bathed and features an automatic hydraulic tensioner that keeps the chain properly adjusted at all times for maintenance free operation. 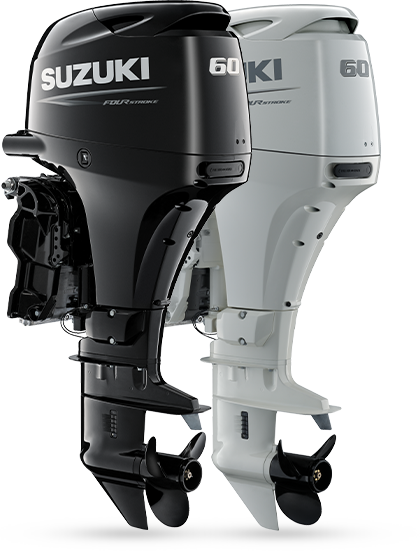 Suzuki's vast experience in designing and manufacturing four-stroke engines for motorcycle, automotive, and marine use is unrivaled. In drawing upon this wealth of knowledge, Suzuki engineers have designed an all-new inline three-cylinder engine with a compact dual overhead cam (DOHC) powerhead and four valves per cylinder. Effective use of advanced technologies provides the DF60A with high-tech performance, efficient operation, and excellent fuel economy. With Suzuki's Easy Start System, all you need to do is turn the key and release. 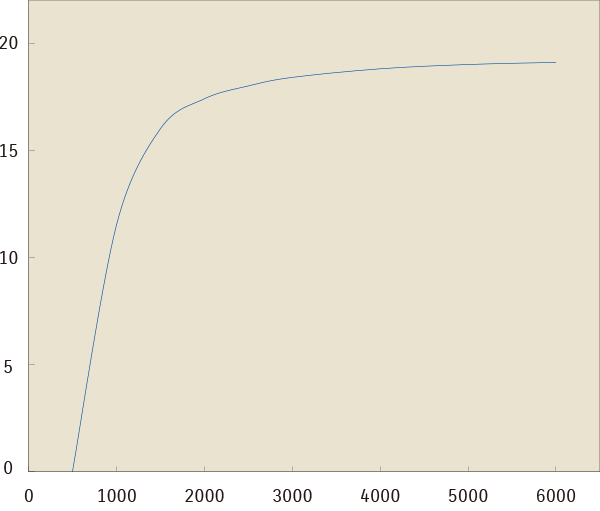 The starter system does the rest, staying engaged until the engine starts. Smoother and improved starts delivered by Suzuki's Easy Start System offer more efficient combustion, and greater fuel economy. First introduced on the DF70A/80A/90A, Suzuki's Lean Burn Control System predicts fuel needs according to operating conditions allowing the engine to run on a more efficient fuel mixture through the use of a lean air-fuel ratio. Suzuki's Lean Burn Control System delivers its benefits over a wide operating range, providing significant improvements in fuel economy from low speed operation into the cruising range. The DF60A features a powerful 19A alternator designed to generate approximately 11.5A even at a low 1,000 rpm. That's enough power to keep an assortment of marine electronics operating all day long in most situations. 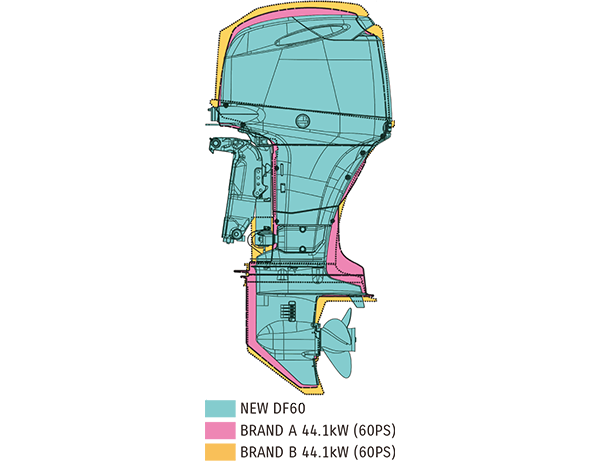 The original DF60A received the IMTEC (International Marine Traders Exposition and Convention) 1997 Innovation Award for, among other firsts and advancements, its pioneering utilization of Suzuki's Multi-Point Sequential Fuel injection. 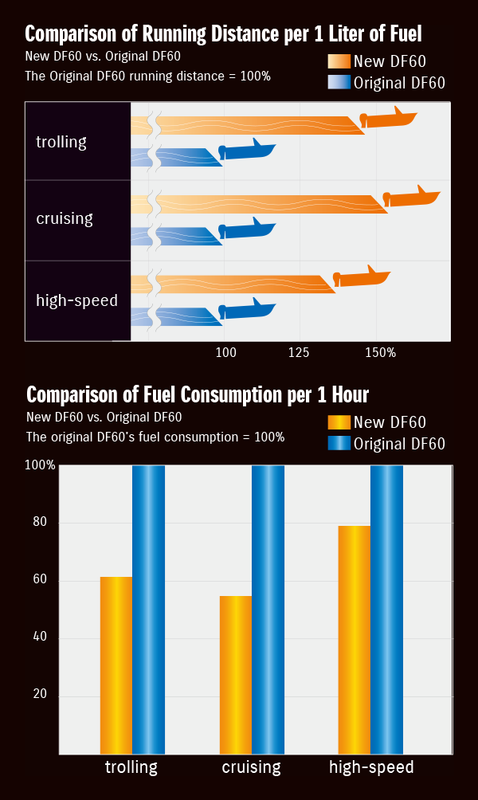 The DF60 uses this sophisticated, time-tested system to gather data from sensors located in key areas on the engine, process it with a 32-bit computer, which then calculates the optimum amount of fuel needed—all in real time. Along with smooth starts, this system delivers maximum operating efficiency resulting in excellent fuel economy and reduced emissions.